The excitement that rings in their voice is equal to our anticipation towards Khichdi’s return. 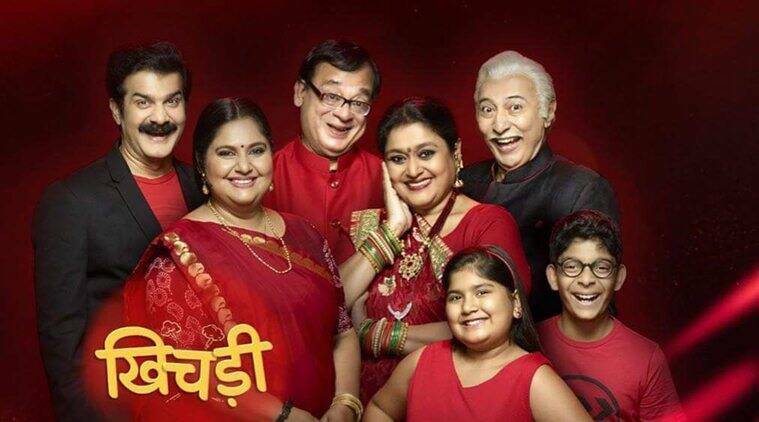 The Khichdi cast has finally announced, “Hum aarahe hai…hum Star Plus pe aarahe hai” (We are coming on Star Plus). The latest teaser shared on social media has Hansa, Jayshree and Himanshu excitedly declaring their arrival. The excitement that rings in their voice is equal to our anticipation towards the show’s return. The one-hour weekend comedy series will launch on April 14 at 8 pm and promises to tickle the audience’s funny bones like its previous seasons. The 30-second promo shared by writer-producer and one of the actors of the show JD Majethia has the entire family all set to reach Star Plus. While Hansa orders Babuji to push their vehicle, as they need to reach the channel soon, Hansa in her inimitable style wants AC. As the two kids getting irritated by the elders’ banter, they shout we need to reach the channel ‘now’. Taking it literally, we see that Praful has put the entire clan in a ‘nau’ (boat) and they are now struggling to move ahead. As the voiceover suggests, ‘chatpate kisse le kar aaraha hai atpapa parivar’, we know that this season is going to be another laugh riot. The new series will feature the same talented cast – Anang Desai, Supriya Pathak, Vandana Pathak, Rajeev Mehta and JD Majethia. While the strength and essence of the characters have been retained, they will be madder this time. Apart from a new setting in terms of a house, the makers have also planned a lot of cameos. Actors like Renuka Shahane, Ratna Pathak Shah and Deepshika Nagpal will be seen adding more fun in every episode. 3 Why do video-game movies fail?